Do you ever get to the point where you just can’t handle the news anymore? I mean, I do like to be informed, and I am well aware of the fact that there is a lot to be concerned about right now. However, sometimes I wonder if the world is truly so much worse than it was when I was young. I tend to believe that the news chooses to focus on the bad, not the good. Man, I miss that show. Beyond feeling a bond with Lorelai over her addiction to coffee and the speed in which she talks, I just loved it. (How I wish it were still on the air. There is nothing I want to watch now.) At any rate, in an episode called Welcome to the Dollhouse, Lorelai tells Lane she is going to start a newspaper called The Good News Daily where they only report on good news. Lane: So, what's going on in the world? Lorelai: Good. Nothing good. There's absolutely nothing positive going on anywhere in the world. How could that be? Lane: That's why I don't read the paper anymore. Lorelai: You will mine. I am starting my own. The Good News Daily -- nothing but good news every day. Lorelai: "No civil war in Canada"- big article. "Cars drive down road without incident" - front-page news. "Puppies- how cute are they?" In-depth exposé. And the subscription is free. How happy is that? Lane: I'm in a better mood. Can I sign up for that paper? Actually, I want both – The Good News Daily and the headlines. I want to know what’s going on in the world, I have no desire to be naïve, but I would like some sort-of balance. I try to make this space positive as well. There is so much negativity in education today, and I’m not immune to it. I have grave concerns over CCSS and the assessment piece that my students will be starting this year. Funding is ridiculous. We could go on and on. I do think we need to speak up when we can, but we need to celebrate too. I took Liam to the pool today to squeeze in a few hours of summer into a packed day. While there, I visited with several students – three going into sixth, four into eighth, and one that just graduated high school. Out of the eight I spoke to, six were passionate about the books they were reading, one had just abandoned a book, and one hadn’t read anything all summer. Immediately I wondered what I could do to help the eighth grader who wasn’t reading, but I then reminded myself that I was only focusing on what I saw as my failure. I need to also celebrate the seven kids that were reading, that former students came up—unprompted—to talk to me about books. I need to celebrate the good stuff in my classroom—we all do. One of the reasons I started this blog, beyond needing to figure out writing so I could teach my own students, was that I think we need to reshape the narrative of education today. What is your story? Are you sharing it? My friend, Colby, reminds teachers of this often. If you don’t share your story, who will? And how can we teach our students to share if we don’t do the same. So much good is happening in our classrooms, we need that message to be the one everyone knows. As for me, I want to move to Stars Hallow, talk fast, drink lots of coffee, and be surrounded by amazing people. Come to think of it, Monticello isn’t too far off. Now I just need a great diner where I can hang out and I’ll be all set. Almost eighteen months ago I looked around our classroom and realized I was out of space to put books. My husband would tell me that logically, I should just stop buying books. Instead, I realized that my desk took up some prime real estate in our classroom. I got rid of it and, eighteen months later, couldn't be happier. This summer I've had a lot of folks asking me about what I do to store my stuff now that I no longer have a desk. Last night I filmed a quick video in my classroom as I set up for the year. I hope this helps. If you have further questions about getting rid of your desk - or anything else - feel free to ask them below and I'll try and help. My brain has officially switched over to school mode. I still have twenty-one days until I go back, twenty-three until the students do, but I’m thinking about school a lot. The classroom is close to being ready, which is a minor miracle. I decided to take some student advice and reorganize my library this summer. There are over three thousand books in my room, which made it a bit of a nightmare. All books are back on shelves, so the room is getting closer. When the physical room is set up, the planning can begin. There is so much to think about, so much to consider, but this is the stuff I love. Thinking about units, considering picture books, articles, skills I want to share. I love this part of preparing for the year. Each year is different, students shape what I need to teach and what standards need to be covered in depth. There are some things I know upfront I have to plan for, some wait until the year begins. With curriculum constantly on my mind, I tend to find things I can use almost anywhere I turn. Quick writes have become one of my favorite parts of workshop. Whether it is a reading or writing class, I like to open with something to get my students writing. We can then share and move on to the mini-lesson from there. Linda Rief’s Quick Write book helped me start out, she has many poems you can use as you begin. From there I’ve pulled my own writing, student poems, and articles to use for our quick writes. One of my favorite things to write off of would be videos. If you want to try it with your students, here is a video I plan on using at the start of school. It is from Jack and Finn – twins from England that run a YouTube channel. I think the video is wonderful and could start a powerful discussion in our class—describe what you love. I love Ruth’s weekly link-up because it reminds me to look for celebrations every day. For example, I could celebrate that Liam finally let me clean out his room and he finally agreed to parting with some of his “stuff.” Or, I could celebrate the amount of reading time my boys and I have squeezed in this week. Or even the fact that Chris and I have actually had time to sit and talk this week since we weren’t running kids to a practice or a game for the first time since April. So many reasons. However the celebration I have on my mind happened last night. Luke was at a friend’s house and Liam asked if we could go to the Mexican restaurant uptown. We got the chance to be a family of three, he actually got some undivided attention, which he soaked up. While that is an awesome part of our evening as well, what is on my mind happened while we waited for our food. We were sitting in the back in a booth. Glancing up at the front, I thought I saw a student from this past year come in, and then head back out. That isn’t unusual, if you are grabbing a table outside you come in first to tell them you are there. I wondered how she was doing, and then continued talking with Chris and Liam. A few minutes later I looked up and she was headed to the back. Apparently she had seen me and went to tell her parents she was going to come in. After a quick hug hello, she plopped down in the booth next to me to tell me all about the book she is currently reading. We talked about what genre it was – I had never heard of it – overall plot, and if I could recommend it to another former student who had just texted me asking for recommendations. She shared what parts made it probably inappropriate for my grade level, but also why she loved it. Then we moved on to talking about her summer, what she was looking forward to in middle school, and then she left. It was only a probably five minute conversation, but it left me with a smile on my face. I love my students. I love the current class you get each year, the opportunity to help them grow as readers, writers, and grow as people. I love my former students – the ones I see around town, or who come to visit me when I’m out, or who knock on my front door and want to talk. I love the students who send me emails, text messages, or notes through the mail. Teaching is a tough job. There are times it feels like it takes over. There are times when it feels like I’m not enough to fight against an evil empire like Pearson. There are times when I wonder if it is worth it. And then, a student talks to me while I wait for my dinner, or sends me a quick note on Instagram, and I know that it most certainly is worth it. That’s what I’m celebrating this week - the best part of teaching, the connections with my students. I cannot wait to meet my next class in just a few weeks. Have you ever read something and thought, “Yes, that’s why I do that…” While parts of the book were new to me, so much of what I do each year was written in those pages. It was both affirming and enlightening. I just wrote to a friend today that I’d love to see a building PreK-6 (or higher!) that used the responsive classroom approach. I bet it would be amazing. 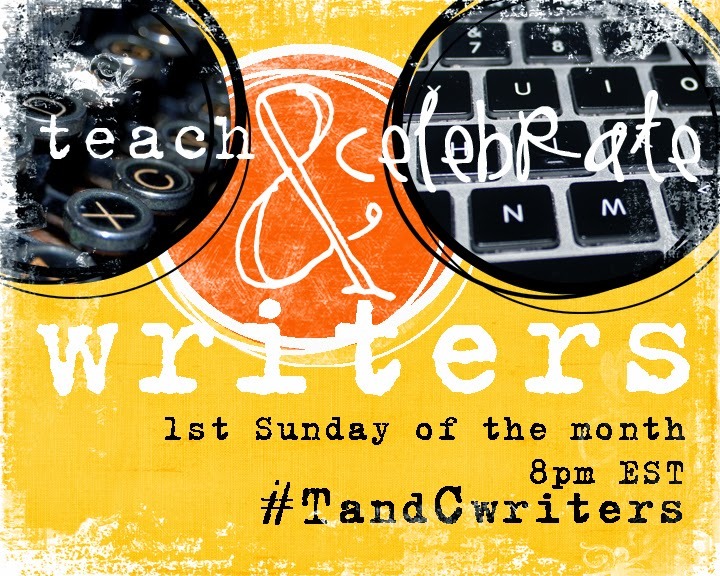 The second reason I’ve been reflecting on routines is that Ruth Ayres and Christy Rush-Levine are starting a Twitter chat called Teach & Celebrate Writers. The first chat is on August 3rd at 8pm EST. I’ve agreed to guest host. Want to guess the topic? Routines and procedures for writing workshop. I’m SOOOOOO excited. I love the start of the school year. I love introducing students unfamiliar with workshop model to our classroom. I love showing them how we work as a classroom community. It is the best! Well, maybe the best is when the classroom is humming along, but I do love the start of the school year when everything is ripe with possibility. I hope you will join us on the 3rd at 8pm EST! I’d love to learn from you all and have a conversation. 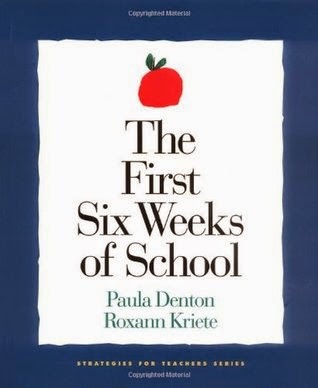 What routines and procedures do you teach at the start of the school year? Which do you struggle with? Is there something new you’re going to try this year in writing? Share in the comments and then come to Twitter on the 3rd to continue the conversation. Can’t wait to see you there! Today I drove to a nearby town to get groceries and reflected on the end of Luke’s baseball season. It was a truly amazing season and I hated to see it end. That is unusual for me, to say the least. Luke and Liam have played in various sports each season since they were old enough for t-ball, so for Luke that equals eight years of sports, often three sports a year. I always embrace the end of a season, looking forward to a short break before the next sport begins. Why would I care this year? This picture from last night sums it up well, it’s about relationships. 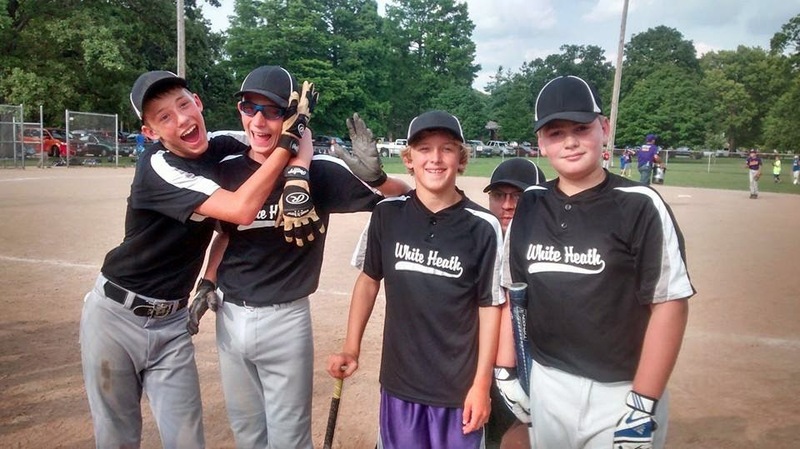 Photo bomb courtesy of Luke's coach, Seth. When watching Luke’s coaches all season I saw excellent teachers. Luke has had great coaches over the years, but Seth, Kurt, and Ryan are on another level. They knew each player well. Some players need few words and short directions. Others need to be built up, reassurance and encouragement to be given regularly. These guys made practices fun, games competitive, and ensured each player felt valued and a part of a team. If there was an issue, they dealt with it quickly, decisively, but kindly. They knew when to step in, and when to let the kids lead the way. All qualities of excellent coaches and teachers. I was impressed and grateful. When we signed up, I was a bit worried about Luke joining the team simply because he didn’t have any friends on it. Luke can be shy and have a hard time joining others. He is absolutely loud and outspoken with his friends, but around kids he doesn’t know, he hangs back. This group had a couple kids from his grade whom he really didn’t know, and many kids from the grades above. They were amazing. I knew most of them from teaching and was consistently impressed with how they encouraged each other, but also how well they knew each other. They knew who could handle being razzed, but who (Luke) needed more encouragement. Today I watched Luke strike out for the second time in the game. My heart broke as I felt paralyzed. I obviously wasn’t going to go over to the dugout to talk to him, that would mortify him in front of the older boys. But I also knew he would be beating himself up over that out. Looking over at the dugout from my chair, I watched him brush away a tear, and several immediately popped into my own eyes. I then saw two older boys grab him in a bear hug, pat him on the back, and continue to watch the game with their arms across his shoulders. My heart swelled with gratitude. It was in watching this scene unfold that I realized what an excellent community had been created with this team. Kids led all warm-up activities. They knew what was expected of them, did it without trying to get out of work, and took turns leading. When one child would be at the end of the running exercise, another would automatically drop back to join and finish with them. No adult prodding needed, they supported their teammates. If someone was struggling with pressure on the field or off, encouraging words were offered. Coaches connected with every kid, not just the better athletes. Each child got individualized instruction. Hard work was recognized and rewarded always. Praise was specific and given to all kids. Mistakes were faced head on and advice was given how to improve in the future. I’ve been writing a lot about classroom management lately, so it is constantly on my mind. 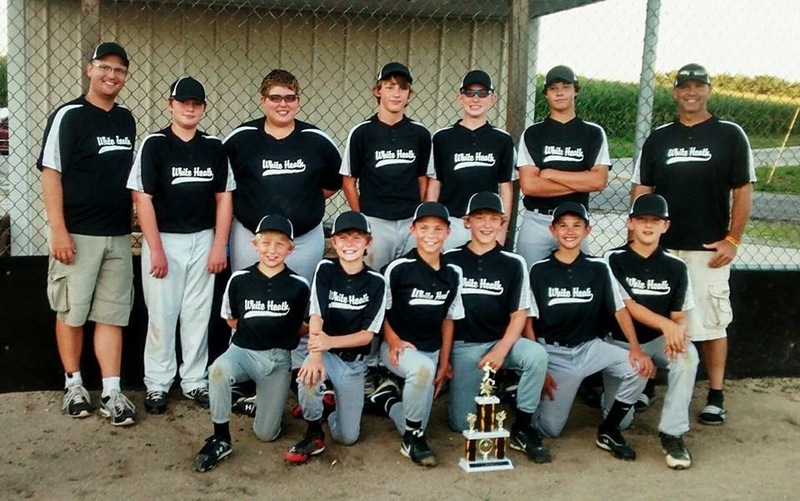 Luke’s team had a wide range of kids on it and all achieved levels of success. Relationships and community lead to engagement and ownership. This season left me inspired for what potential there is in a good team – on the field or in the classroom. I’m grateful Luke had the chance to be part of this one. How Much Activity Do Our Students Need?